Dr. Calhoun is a skilled endodontist offering specialty services for patients in Jacksonville. Endodontists have advanced training in tooth damage and diseases that affect the inner layers of the tooth, the pulp. Root canals are likely the most commonly provided treatments from the endodontist. In order to provide safe and effective endodontic services, Dr. Calhoun earned his doctor of dental medicine from the University of Florida College of Dentistry where he specialized in endodontics. 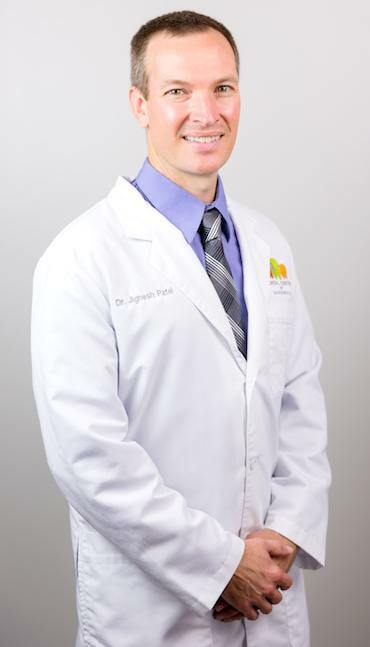 He completed his endodontic residency at the University of Illinois at Chicago College of Dentistry. In addition to this advanced training, Dr. Calhoun also maintains active membership in numerous professional organizations, including the American Dental Association, the Florida Dental Association, and the American Association of Endodontists. With his years of experience, Dr. Calhoun offers exceptional treatment, but his kindness and dedication to comfortable dental care make him a patient favorite. Dr. Calhoun, his wife and their kids have lived in Jacksonville since 2009. They enjoy living and working in the community. When he’s not hard at work or spending time with family and friends, Dr. Calhoun enjoys gardening, reading, exercising, traveling, and salsa dancing.